Haircuts in Seoul can be a daunting experience. Asian hair can be quite different, so when westerners get their haircut here, they can sometimes end up with disappointing results if they end up with an inexperienced stylist. That being said Seoul is a very international city, so there are plenty of salons that can give you the haircut you want without the fear of all your hair getting chopped off. I’ve had long hair for years, but after seeing all the trendy short haircuts here, I wanted a change. This was a hard thing for me to do considering I never take risks with my hair, so I wanted to make sure I was going somewhere that wasn’t going to make me regret my choice. So of course I hit Google to find a salon that had been recommended by other foreigners. 1. 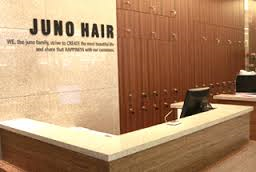 Juno Hair (준오헤어): This is a chain that can be found in various locations across Seoul. Many foreigners have recommended it stating that there are often English speaking stylists that are familiar with western style hair. 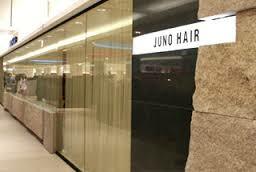 I chose not to go to get my haircut with Juno Temple because it is a chain so that means quality varies across location or stylist to stylist. 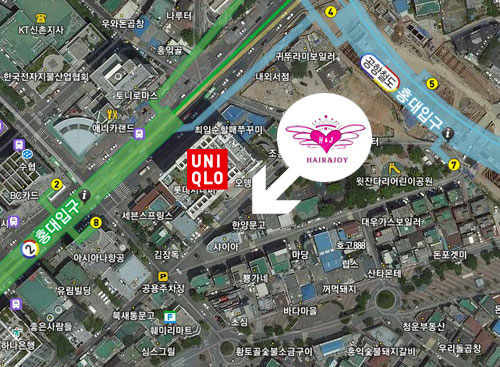 The nearest location is in Wangsimni station(왕십리역) on the floor above E-mart. 2. 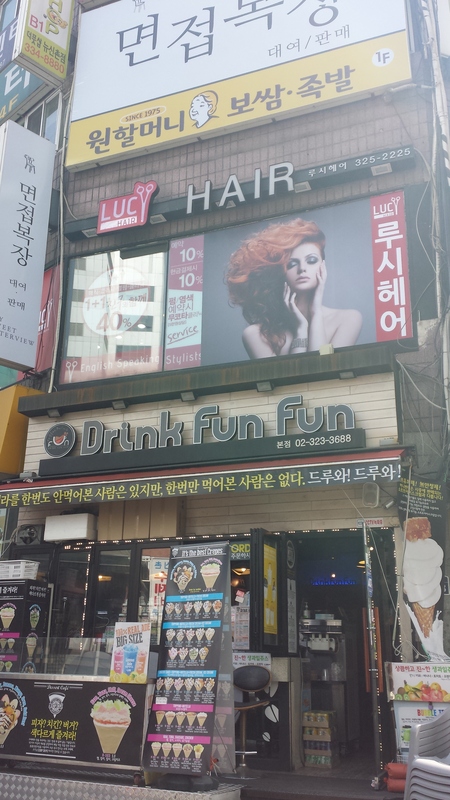 Lucy Hair: This salon is located in Sinchon and has a number of English speaking stylists. This is where I decided to get my haircut, and upon walking in their were two other foreign women getting their hair dyed, so I was confident walking in that I chose a place that would do a good job. The receptionist as well as the two stylists working that day all spoke English. When reading reviews online, everyone suggested asking for Lucy, but I just got the next available stylist, and he did a great job. Directions: Line 2 to Sinchon Station(신촌역) take Exit 1. Walk straight ahead until you reach Natuur Ice Cream shop and turn right. It’s Approximately ½ block down on your right on the corner above a café. 3. Hair & Joy: This salon is located in Hongdae(홍대), it was the salon that Lucy from Lucy Hair used to work at before opening her own salon. I have read a few reviews for this salon online and they have all been positive. 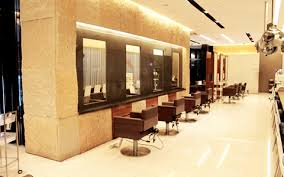 May foreigners go there and have said that the stylists have been capable with there hair and many speak English. They even have a website that is written in English. (located on both subway line 2 and the new AREX Airport Express Line). Turn right and walk to the intersection. Turn left. On your left is Uniqlo. We are located on the right. Follow the pink “HAIR & JOY” sign to the 3rd floor. I think these 3 locations would all be good locations if you are looking to get your hair cut or dyed. Most hair salons a quite cheap here compared to the ones back in North America. My haircut was 35,000 KRW, which may be considered a little on the expensive side. My roommate who got hers cut at Juno Hair only paid 25,000 KRW for hers. For men anything higher than 20,000 KRW would be expensive from the research I’ve done. My biggest advice is to bring a picture with you to a salon if you want something that is not easily explained, and you shouldn’t have any problems. Good Luck!